CNC Machining is Changing the World! We live in a world machined. While most people go about their daily lives never considering CNC machining and all the ways it’s transformed life and work on this planet, here at Worthy, we think about it constantly. Being able to see and facilitate the making of so many CNC machining parts long before they reach their destination inside a final product is a gift. CNC machining, design, prototyping, assembly — we can hardly get enough of it or of the companies and people who make it happen. People could understand Computer Numerical Control (CNC) technology, but anyone who has not heard of it before will know about it soon, considering the widespread acceptance of this foundational tool used by tech-savvy manufacturers. CNC allows machines to be guided by easy-to-use applications, using controls that integrate seamlessly in a personal computer. A typical CNC machine is used for cutting, milling, drilling, and routing of almost any material, for any reason, and it can be used for any project that requires accurate, repeatable, and efficient mechanical movements for extended periods of time. The only limits to CNC capability are the users’ imaginations and programming abilities. So, as more users adopt the technology, it becomes increasingly useful even for inexperienced users — and that acceptance continues to drive its evolution. How will the evolution of CNC impact the way we live and work? 3D Printing allows instant creation of practically anything. Three-dimensional printing using resins, plastics, and even metal alloys is emerging from small shops around the world, and while it’s still in its infancy these technologies are paving the way to new businesses, and changing industries. Today, we are seeing the early stages of this with on-demand 3D printing: ordinary people can have objects created for them simply be sending a company a computer file, and this is just the tip of the iceberg. Recently, a few companies have shown that nylon printing can create articles of clothing; ten years from now we may simply be printing the clothes we wear. Precision mechanics for everyday convenience. CNC applications will not necessarily create new objects but rather automate processes that once had been done by hands. Industries have sprung up around these applications. It is now possible to draw a design with a pen and paper and have it etched or painted on a laptop, or cut from vinyl to stick on the window of your car. These technologies are coming to the home, too. In the last few years CNC has been adopted by cake decorators (designing with icing) and egg printers (using food-safe inks to create works of art on egg shells) at costs that make customized processes available every day. This technology will establish the ability to automate and mechanically control the most basic of tasks, including (but not limited to) preparing meals, cleaning the house, and styling hair, all with a simple push of a button. Considering these predications will help anybody to understand the possibilities of this amazing, emerging technology. The evolution of CNC capabilities eventually will bring us into a world of instantaneous object creation and service robotics that will change forever how we think and feel about mechanical labor in our daily lives. As these machines develop, being on the cutting edge will be more important than ever and will determine the leaders of the industries of the future. 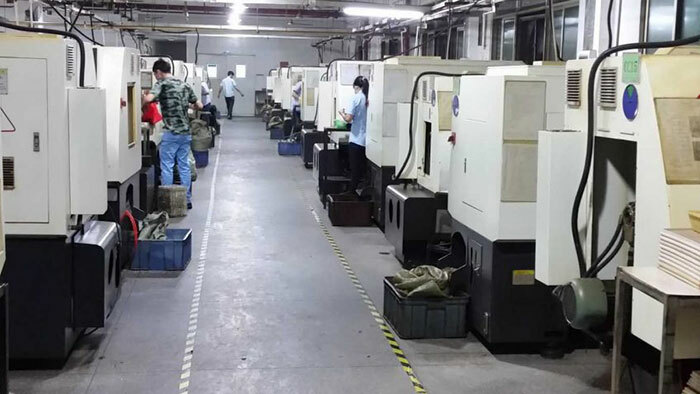 Worthy Hardware is a CNC manufacturing and sheet metal fabrication company,including CNC machining services,CNC milling services, CNC turning services, laser cutting services and stamping services.Call us +86-76989919645 or email us info@worthyhardware.com for more discounts for your projects.